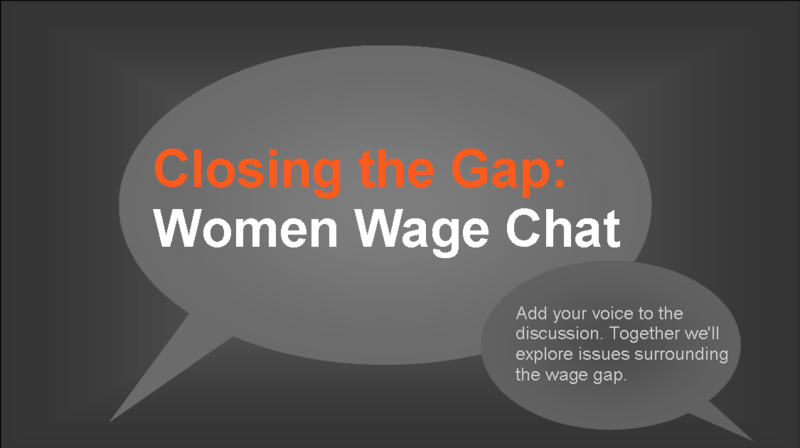 For further discussion on issues surrounding the wage gap, add your voice to the CTG: Women Wage Chat forum. Asking For What You’re Worth: Do Women Know How to Negotiate? Work life balance is tough for everyone. The struggle to make the choices between career and tending to life needs such as childcare and caring for elderly parents are so often the burden taken on by women rather than men. Some say the wages lost to choosing life over work are just ‘the cost of doing business’ for women trying to achieve balance, and that these personal life choices shouldn’t be considered a factor in the wage gap. Yet a grossly disproportionate number of women still assume care for the children and elderly in American society, leading others to argue these so-called “choices” are not really choices at all, but rather, options-of-last-resort made out of necessity due to inadequate child care options, and the lack of family-friendly workplace policies in a society that still subscribes to antiquated gender norms. Note the results of a 15-year study by the think tank Catalyst showing ways in which the wage gap was more likely to widen over time for women who got married and had children. In comparison, that same study revealed that the opposite was true for men: Married men with dependent children tended to have higher earnings and work longer hours. Women who seek workplace flexibility in the form of job-sharing, telecommuting, and compressed workweeks may not fare so well either. Studies conducted by the Families and Work Institute suggest there’s a stigma attached to women who ask for workplace flexibility. Additional studies reveal a shocking bias in attitudes towards working mothers of differing socio-economic status, which could contribute to even less workplace and public policy support for low-income working moms. The discussion will explore these barriers from a standpoint of existing and proposed public policy, and consider ways in which women can detach themselves from the unbalanced work life expections in order to thrive professionally and personally without being penalized. According to the Bureau of Labor Statistics, a majority of women workers are clustered in low-wage job sectors traditionally considered to be “women’s work,” including secretaries, child care workers, home health aides, and waitresses. And, statistics from the Economic Policy Institute reveal 63% of all minimum and sub-minimum-wage workers are women. This discussion will examine the impact of the wage gap on women in low-paying positions; examine the financial hardships that stem from being under-employed; and, weigh the impact of part-time and seasonal employment that does not offer benefits, pensions, job security, and, of particular significance to mothers, coverage under the Family and Medical Leave Act. Experts will offer suggestions for boosting women’s earning power, including exploring educational options, identifying high-growth/high-pay industry sectors and non-traditional jobs; considering the merits of pursuing jobs with union representation; and proposed legislation to raise the minimum wage. Lower wages throughout a woman’s lifetime translate to a rockier financial road in retirement. Statistics also show women tend to live longer than men, meaning less money needs to last longer. To make matters worse, according to the U.S. Census Bureau, half of all women work in relatively low-paid jobs without pensions—and women retirees who do receive a pension average only half the benefits that men receive. This discussion will examine the unique financial challenges women face heading into retirement, with expert input from Cindy Hounsell, President of the Women’s Institute for a Secure Retirement. Ultimately, this discussion will pinpoint important strategies for women of all socio-economic backgrounds to achieve long-term economic security and expose challenges that could be addressed through improved public policies and more innovative employer practices. American women who work full-time, year-round are paid 77 cents for every dollar paid to their male counterparts. But according to the U.S. Census Bureau, for women of color the gap is much wider and the consequences place them under an even greater weight. African-American women are paid only 64 cents, and Hispanic women only 55 cents, for every dollar paid to white, non-Hispanic men. These women of color are already more likely to have lower incomes and live in poverty than any other group, according to a National Women’s Law Center study. And, not only do women of color experience a greater pay gap, they experience a greater wealth gap, accumulating fewer assets in their lifetime. In fact, according to the Ms. Foundation for Women’s 2013 report The Road to Equality, older women of color are the poorest segment of the population in retirement. This discussion would focus on ways in which closing the wage gap would ease the strain on women of color and their families, especially crucial since single women with families have the lowest household earnings of all family types. Almost 43% live below the Federal Poverty Level, with 17 percent receiving some welfare assistance throughout the year, again according to The Road to Equality 2013 report. Panelists will discuss the crucial need for public policies to address social and economic justice issues to help low-income women overcome the staggering barriers to economic security and fair pay. They will explore the need for meaningful public assistance programs to transition women into jobs that provide a living wage; maximizing usage of federal child care subsidies; raising the federal minimum wage; and implementing the 2007 Lilly Ledbetter Fair Pay Act to help females and minority workers challenge discriminatory pay. This on-set discussion will examine some of the highly-debated theories for pay inequities that exist between men and women with comparable education; it will explore possibilities behind the trends that show men traditionally pursue higher-paid careers than women; and, it will explore what the wage gap means to young women entering and rising in the workforce. Bureau of Labor Statistics studies reveal that higher educational degrees lead to higher median salaries. And while the rate of women pursuing higher-ed degrees is increasing, the wage gap persists for women and men with the same degrees. According to a study conducted by the American Association of University Women, even when you compare women and men with the same education, the same grades, holding the same kinds of jobs, and having made the same choices about marriage and number of children, the women still earned 5 percent less than men the first year out of school; and, ten years later, even if those women continued to work on a par with men, the women earned 12 percent less. From the very beginning of their careers, then, women contend with less return on their investment in education and fewer resources to pay back student loan debts. Panelists will consider ways in which young women can better understand the long-term financial impact of their education and career choices and make suggestions for women to enhance their lifetime earnings potential. Panelists also will assess industries with the largest and smallest pay gaps; present strategies to attract and retain women workers in higher paying careers, and plan pathways to higher paying supervisory and management positions; explore increasing opportunities for women entrepreneurs; and weigh the value of women pursuing non-traditional occupations. Additionally, this segment will explore educational initiatives to expose young girls to a range of career exploration opportunities; and, it will explore legislation to grant girls a full measure of equal educational opportunities, including increased encouragement to participate in STEM programs and vocational training. Finally, panelists will explore ways to overcome gender discrimination in the workplace utilizing laws ranging from the Equal Pay Act of 1963 to Title VII of the Civil Rights Act of 1964, to the Civil Rights Act of 1991, and legal channels to ensure compliance and enforcement in the workplace. An individual’s first salary provides the foundation for future raises and earning expectations. But studies suggest women are less inclined than men to negotiate salaries, pay raises, and promotions, leading to a lifetime of lost earning potential. But why won’t women negotiate? This discussion will explore social conditioning and traditional power structures that may contribute to women’s failure to negotiate for fair pay, as well as current workplace practices that make it difficult for employees to find out what co-workers are making in comparable jobs. This panel discussion will examine the shift in attitudes necessary to help women view negotiating as a fair and collaborative effort; and skill-builders to aid women at all levels to research salary ranges and negotiate equal pay for equal work. The discussion also will explore the need for effective pay-equity legislation, regulation and enforcement to protect employees, and greater transparency in pay systems which, according to the American Association of University Women, is associated with a smaller gender pay gap. Additionally, this discussion will explore the proposed Paycheck Fairness Act and the Fair Pay Act, intended to strengthen the Equal Pay Act by creating incentives for employers to follow the law, help women to negotiate for equal pay, and strengthen federal outreach and enforcement efforts. Throughout the program, discussions will address public policies and proposed legislation related to specific subject matter. This segment will further explore legislation to aid employees and employers in the fight for fair pay and more family-friendly policies in the workplace; and clarify any remaining discussion points related to the proposed Paycheck Fairness Act and the Fair Pay Act. The discussion also will promote women’s involvement in the infrastructures of business and government and encourage more women to assume leadership roles in order to provide a voice at the decision-making table. Strategies also will be presented for women to make a difference at the grass-roots level to drive legislation and achieve equal pay in their own communities.